It may seem a small amount to give. But the assistance that we provide to these children makes a world of a difference to their lives – their enjoyment of school, the education they can achieve, and their prospects. There are two main ways you can help. One is a direct donation, the other is to sponsor a girl. We accept donations in all currencies on our BT MyDonate page. 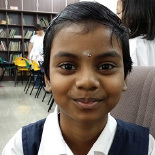 BT MyDonate is a free online fundraising service that doesn’t take a commission on donations; so you can be confident that every penny you donate will directly benefit the girls of Assunta school. This way allows you to make a regular payment that we can use to plan our support for the Assunta girls. We plan our support so that the children can plan their school year, knowing that the basics they need to thrive will be provided. There are three levels of sponsorship. £10 per month provides the girl with school uniform, shoes, socks, school bag, books and stationery. £15 per month provides the girl with a good nourishing meal every day in addition to the basic assistance programme above. £25 per month per month means that you will be a full sponsor of the girl, providing them with their weekly tuition classes and special outings, in addition to a daily meal and the basic assistance programme. Your sponsorship could be for just a year, but we hope that you will be willing to sponsor a girl from the age of 7 to 12, and then subsequently through secondary school. Fill or download the sponsorship form here.